Exceptional Results With Patient Safety Guaranteed. SkinStylus® MicroSystems provide advanced technology that offers exceptional results for many clients. While there are several different microtherapies, all SkinStylus® systems are being specifically marketed for the intended use of micropigmentation. The EstheCeuticals® line is formulated for use with SkinStylus® MicroSystems as well as other skincare technologies. At SkinStylus®, we believe the foundation of a skin care regime that delivers results includes essential home care products designed as a system that is uncomplicated but highly effective. In order to beautify the skin, we have selected research supported active ingredients while avoiding ingredients that rely on unsupported marketing hype. Find out more about our revolutionary EstheCeuticals® products. Finally! Microsystems designed by skincare professionals for skincare professionals. SkinStylus® is unique as it can be AUTOCLAVE REPROCESSED! ALL at a LOWER PRICE than any other comparable system! We invite you to compare for yourself! SkinStylus® microdevices are marketed for and have an intended use for micropigmentation. International and American physicians have submitted photos and data which may or may not show expanded functions of the device. Purchasers and users of any SkinStylus® System are strongly urged to comply with any federal, state or local restrictions for its use. SkinStylus® courses are designed for informational purposes only and SkinStylus®, Esthetic Advisors LLC and Esthetic Education LLC do not purport to furnish legal or medical advice. Additionally, the content of this website is for informational purposes only. SkinStylus® microdevices are marketed for and have an intended use for micropigmentation. Purchasers and users of any SkinStylus® System are strongly urged to comply with any federal, state or local restrictions for its use. 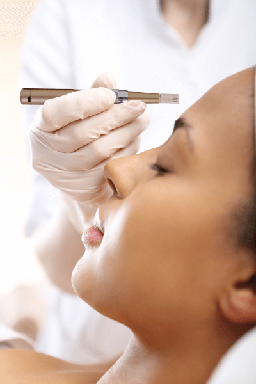 Esthetic Education LLC does not purport to furnish legal or medical advice. Additionally, the content of this website is for informational purposes only.